What lead to this Outdoor solar lights reviews is that I have a lot for my Camper that has two sets of yard lights. Neither of them work that well. I don't need something that will light up the neighbor hood, just some thing that will give me some soft light to relax in the evening after four wheeling and fishing. I choose these five sets so that I can compare them for my own installation. I will be purchasing the set that I think will work best for me. Now lets look at what each has to offer and what will work best for you and i, it might not be the same set of lights. This four pack of lights, the body is made of black plastic. There is a single LED bulb inside the clear plastic lens with a hammered glass look. The LED bulb will give out 1.2 lumens of light from a full charge. The total height of the fixture is 16.8 inches with a 5 inch ground stake. Each light is powered by an AA 300 mAh Rechargeable Battery, a full charge can give 8 hours of illumination. There is not an off/on switch to this set of lights, if they fail to operate check out my post on why does one of my solar lights not work. This set will have the least amount of light per fixture, may require more fixtures to light up your area. This set of six fixtures is made of chocolate brown plastic. It has a clear ribbed plastic lens. It has a single LED bulb that will put out 2.4 lumens of light, this is double the normal output of a regular solar light. Total height of the fixture is 15.5 inches with a 4 inch ground stake. Each fixture will have a AA 400 mAh Rechargeable battery. With a full charge you can expect about 8 hours of light. The double amount of light from the Moonrays 97517 set will allow you to light up a bigger area with this set of six lights. For soft lighting this set will work fine. This set of four fixtures is made from stainless steel with a brushed finish. It has a very contemporary look. The dual LED light bulbs per fixture will give out about 14 lumens for each bulb, very bright next to all others in this article. You will need less fixtures to light up the same area as the other fixtures. Some customers complained about the fixture being fragile with the small support pieces from the stem to the top, I would not recommend these fixtures for a high traffic area. Each fixture is 16 inches tall and almost 5 inches across. With a 3.5 inch ground stake the fixture will be about 13 inches above ground. Each fixture will come with 3-1000 mAh batteries, some reviews and descriptions state only one 600 mAh battery per fixture. This will be additional cost when replacing batteries and some customers stated that they put in 2000 mAh rechargeable batteries to make the lights last all night. You will get a better light coverage with this set of lights at a greater operating cost. This set of six lights has a brushed aluminum post and cap, plastic ground stake and glass honeycombed lens. One product description states that the output of the LED bulb is 45 lumens, customers commented that it is more like 5 lumens. It is a better output than the others, not just the 45 as stated in description. Each fixture is 14 inches tall and 4 inches across. The ground stake is 4 inches long. Total height above ground will be about 10 inches. Each fixture will have a 600 mAh rechargeable battery that will last about 6 hours on a full charge. There is an off/on switch under the twist off removable top to adjust charging and turn off fixture when not needed. Need to charge the battery for 48 hours before first use, this will allow longer life of the rechargeable battery. This set of six fixtures is very similar to the one above. It has a modern design for the person that wants a different look than the plain Solar fixtures. The post and cap are brushed aluminum with a plastic lens and ground stake. Each fixture is 15.5 inches tall and only 2.75 inches across. Stake is 5 inches long, fixture will be about 10 inches above the ground. At only 2.75 inches across this fixture will be less noticeable during the day. One 600 mAh Rechargeable battery per fixture will give about 6 hours of illumination after dark. The cap twist off to reveal an off/on switch to control when you do not need a light after dark. Need to charge batteries for 48 hours before first use to prolong the life of the batteries. Do not forget to turn the fixture on the first time you use it. Make sure that the ground is not hard when pushing the ground stakes in, they are made of thin plastic and can be broken with little effort when installing. Wet the ground first with a garden hose or watering can, this will make the ground softer. If your light fixtures have an off/on switch, turn to the off position for one day. This extra day of charge will give you more life for your Rechargeable Batteries. Test the spread of the light of each fixture after a full day of charging, you may find that you can spread your fixtures out and still get some great light coverage. If you find that you do not have enough light, getting some more lights and installing them is a very quick process as there are no wires to run and connect too. 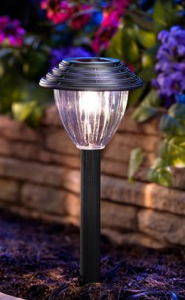 Although I like the contemporary look of a couple of these fixtures in my Outdoor solar lights reviews, I think I am going to purchase the Pure Garden LED Solar Honeycomb set and see how it works, look for a review of this set of lights in the future. I like the style and I think with the off/on switch, I can turn them off and save for when I am at my getaway, I do not want to light the way for the Raccoons while I am away. I hope that you have found some helpful information in this post. Update the Honeycomb style was unavailable when I tried to order, so I ordered the more contemporary looking Pure Garden 50-11 Solar light set. Any questions or comments use the form below. 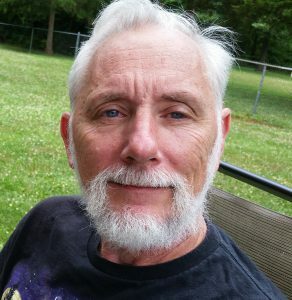 This article is very informative and it has helped me to better understand which I would use for the outside of my home. I think the Pure Garden 50-11 Outdoor Solar Yard Pathway Lights, 6pk would definitely work well with what I have at my home. Very useful. Thank you for breaking it down the way you did. I am glad that this information was helpful for you. I will be working on a review for the set that I have selected for my camping area. I had no idea that not all out door solar lights were the same. It is really interesting to learn the difference between the different types. I have book marked your site for garden projects in the future. There are many types of Solar lights available. The voltage and mAh of the batteries will make a big difference in the amount of light and how long they will last after dark. You must first determine you lighting needs to be able to judge witch lights will work best for you. Your article was most helpful! My dad got for his yard some crappy LED outdoor solar lights and I was offering to help him out because what he bought were really awfull. Almost dark, a little bit of light here and there but it didn’t look good at all. I think I should go for Honeycomb or something similar. I am glad that you found some useful information in this post. There are good and bad solar lights on the market these days, you have to stay away from the cheapest as they do not last as long. John, I have tried several different lights over the years for our camp. The problem I am guessing for us is the path does not get full sun all day long and nothing seems to ever work well or long for us. A couple of suggestions for lights that do not get full sun during the day. One is to have a set with a remote photo cell, it works like low voltage lights, you do not need to connect to an electric source. You just need a sun source that is close to the path you are trying to illuminate. Check out my article on Photo cells, some work better in shade than others. What a great variety of solar lights you have reviewed here, certainly one for every decor. Are they all priced about the same? I really like the Moonrays 91384 Woven Style . And the fact that they come in a set of six would work out great. I am looking to put three on either side of a short path so four would not be enough. I would have to buy an extra set and having four would not be as if aesthetically pleasing. Having an extra two wouldn’t be too awful bad though because then I would have two extras in case something happened to one of them. I may have to reevaluate which will I want now. In this thanks for the reviews. Great job. The prices are similar, because they change so fast sometimes I do not include this information in my post. Also the one light that I was interested in was out of stock after the post was made. Look at the Solar Lights for Decks and Steps on my website. The will attach with screws or nails in a wooden surface. 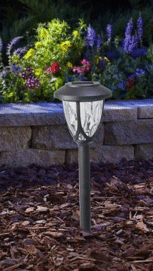 These can also be used to light up any remote area in your outdoor space.